So today I went to local store ( mediamarkt in Almere – NL) and saw a Nokia Lumia 710. Before that I had an impression of it being the ugly duck. Everybody talks about the Lumia 800 and the 710 is just the bugdet option. The point is that it is way better than I thought. Really. Being almost 230 bucks cheaper than the Lumia 800 and free on contract it is really a good option. If you are a developer and just want a phone to development this is your best option. First the hardware buttons looks way better live than in the photos. They are not a degree out of the phone but a nice designed buttons. Also the build is very solid and have the same good feeling when touching that the 800. The screen is not the same but is better than my HTC trophy and the other options available at the time ( some HTCs, a old model LG ), except by of course the Lumia 800. And the last comment, I was with my wife and the pink/white version just drove her crazy. 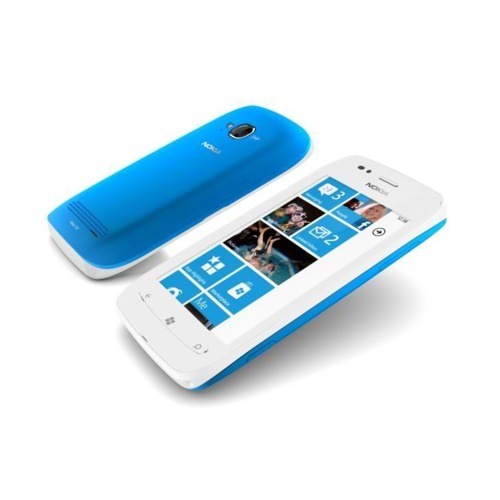 In a sea of black, white and gray devices the nokias coloured ones look very cool.